No one likes boring wall art. So DIY yourself some dimension! 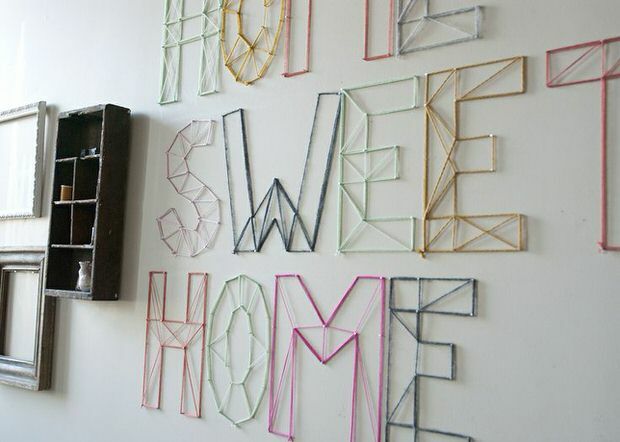 Welcome to our roundup of DIY 3D wall art projects! These are great for living room, bedroom or kids rooms. 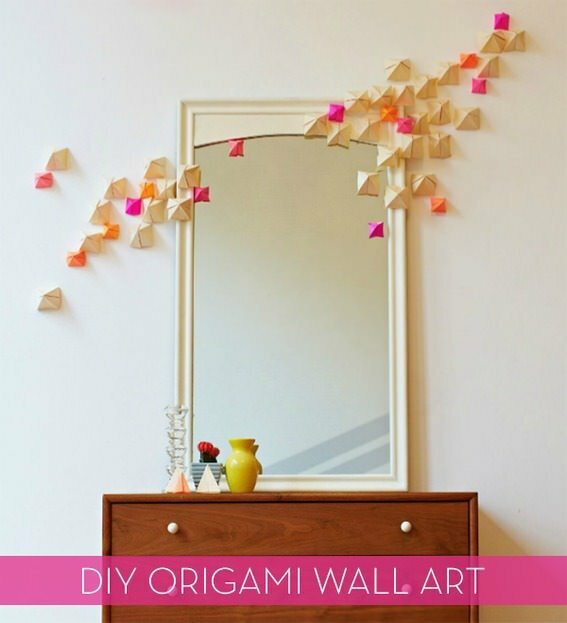 So try some unique materials, play with colors, and make some wall art that does just a little bit more! 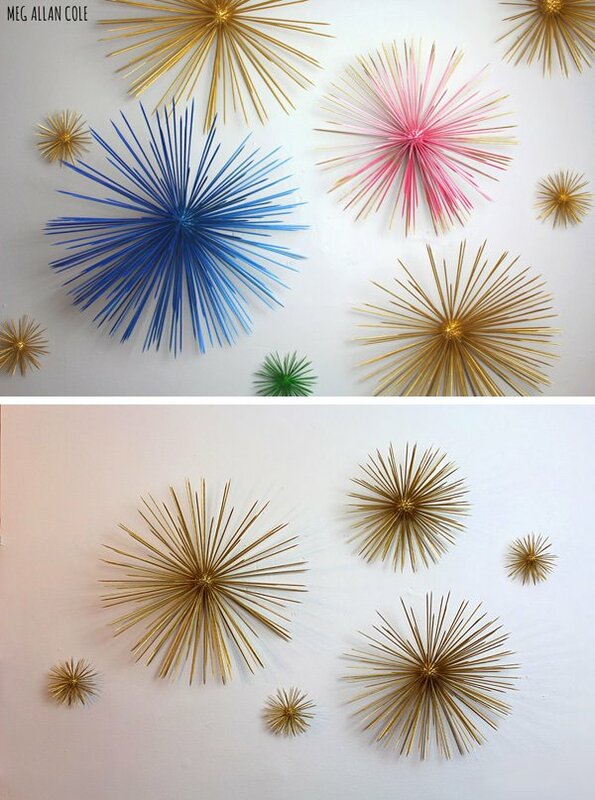 Our featured project, above, is a DIY nail and yarn wall art by Jen loves Kev. It is really reminiscent of those string art projects we used to get from the craft store… But large scale and inspirational at that! Great instructions and photos. This project by Meg Allen Cole for HGTV Handmade is a step by step video of her DIY 3D starburst orbs… aaamazing! 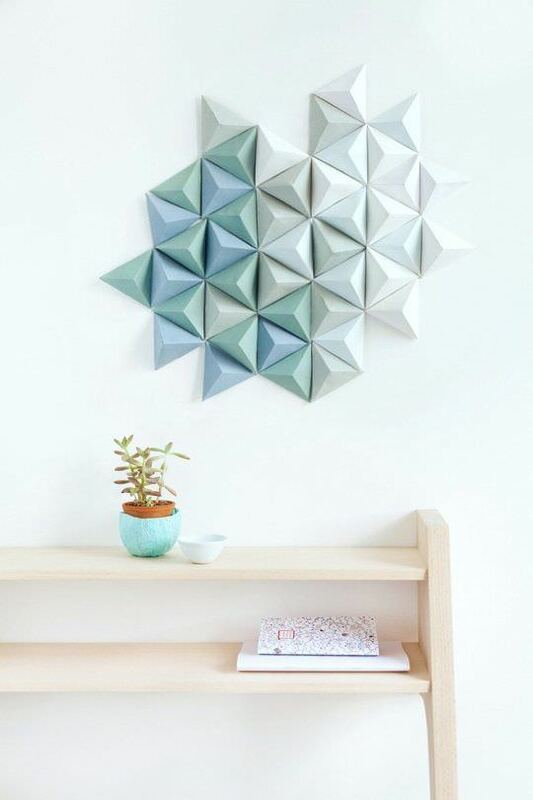 Curbly brings us this DIY origami wall art by Rue Magazine. Project instructions and a video! Country Living uses decorative ceiling medallions and adhesive caulk to create this DIY wall art. Totally cool with the all white wall! 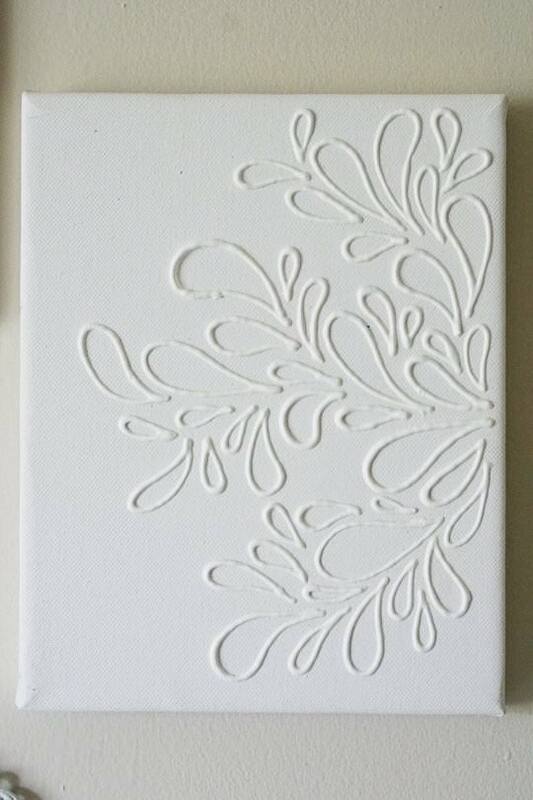 From Virginia and Charlie, this puffy paint wall art project looks so cool, and can be done in almost any color! See how she did it at her site. From Makezine.com, this You Tube video teaches you exactly how to make this 3D geometric paper sculpture. Such a cool design for a teens room! 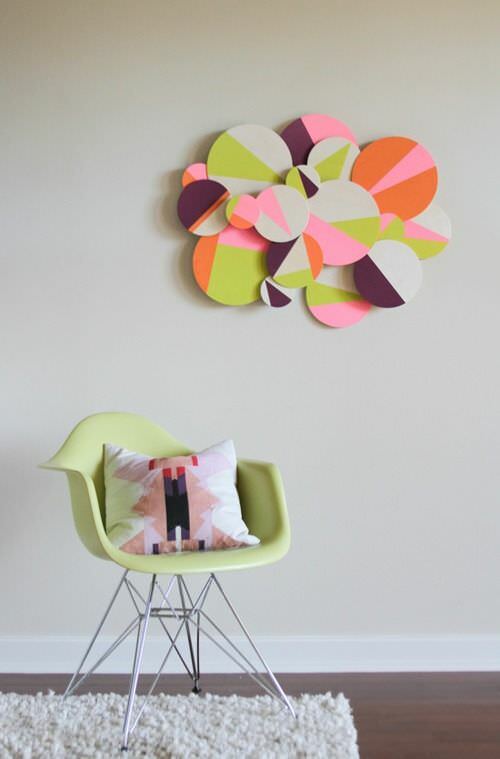 Make this colorful 3D wall art with simple wood circles! Full instructions! 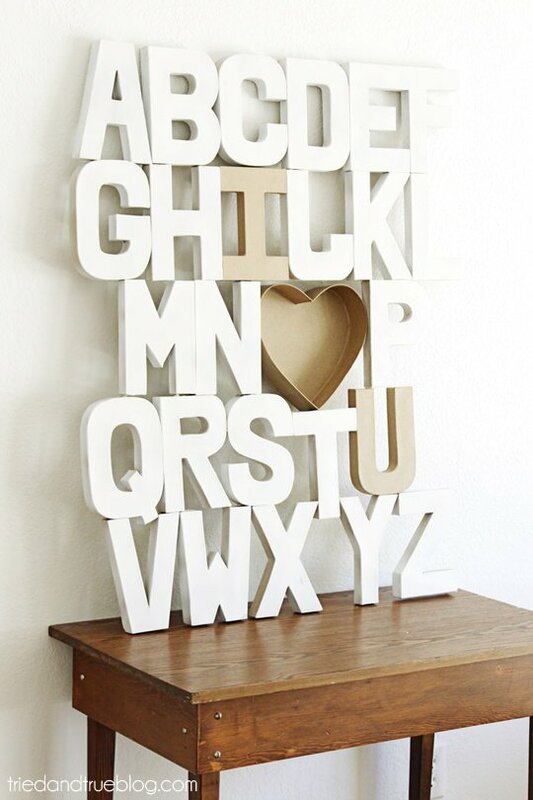 From Tried and True, this 3D alphabet art is easy, inexpensive, and totally awesome. Great kids room decor! So let us know in comments what your favorite 3D wall art project is? Seen something on Pinterest we should share? Let us know!